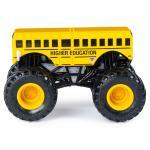 Introducing the all-new, official Monster Jam 1:64 scale die-cast monster trucks! 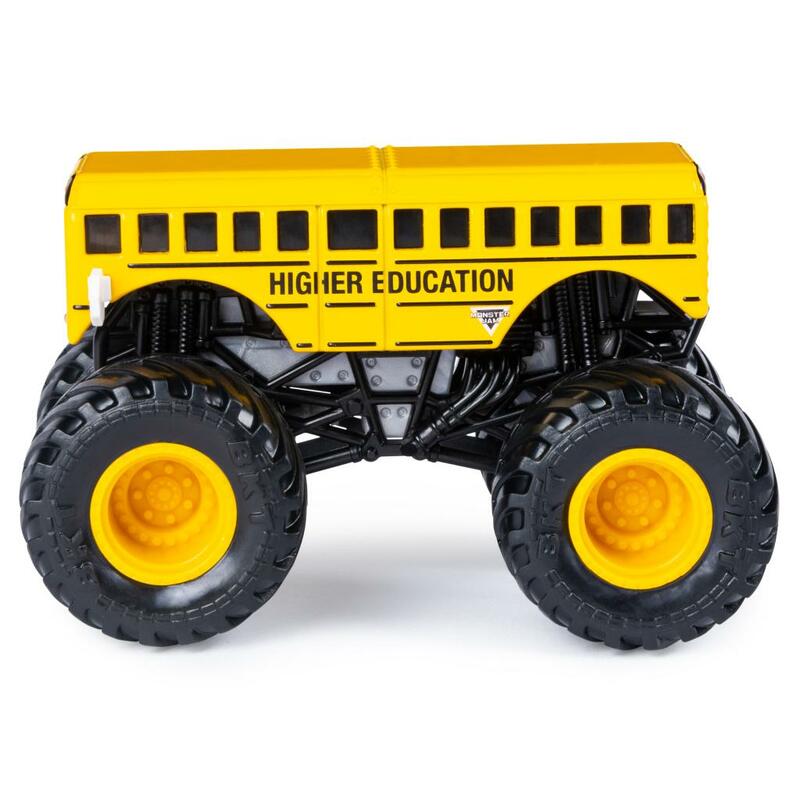 Featuring fun and classic matchups, the Monster Jam 1:64 scale double pack has more details and graphics than ever before! 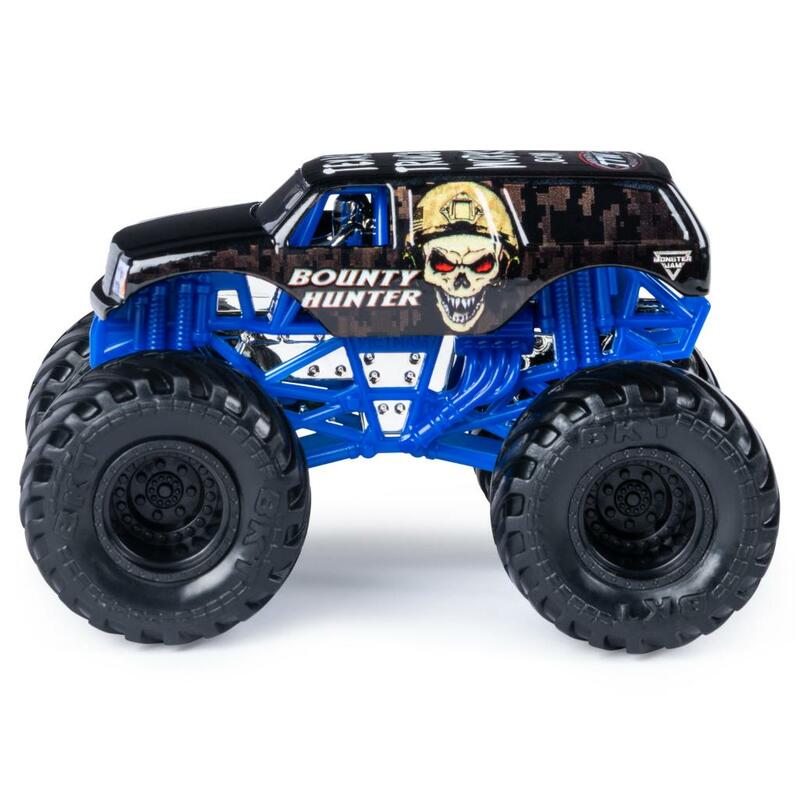 With official BKT Tires, stylized chrome rims, and an authentic chassis with chrome detailing, these monster trucks embody the style and swagger of their real-life counterparts! 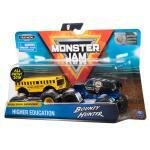 Collect more trucks than ever before and host your very own Monster Jam event with your friends! Each official Monster Jam truck includes a driver molded to the driver's seat! PLUS, keep track of your collection with the exclusive collector's poster! What are you waiting for? 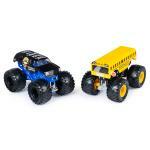 Take these Monster Jam trucks to the max! Ready, set, MONSTER JAM! MONSTER TRUCK MATCHUP: Featuring fun and classic matchups, the Monster Jam 1:64 scale double pack has more details and graphics than ever before! 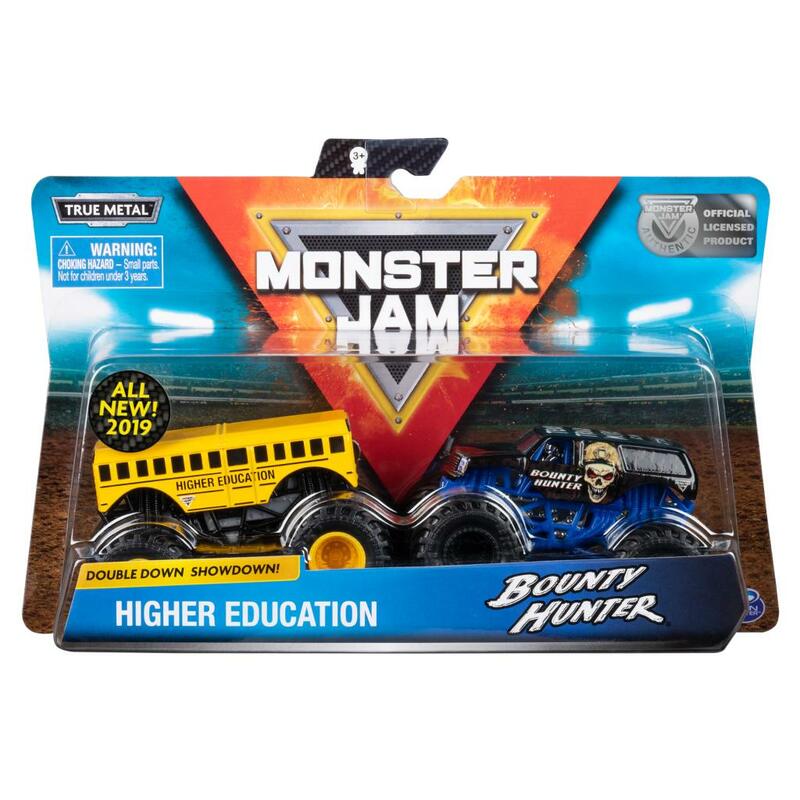 Collect all the trucks and smash your way to victory! AUTHENTIC REPLICAS: Our 1:64 die-cast series features realistic details & lifelike graphics, including official BKT Tires, stylized chrome rims & an authentically styled chassis with chrome detailing. 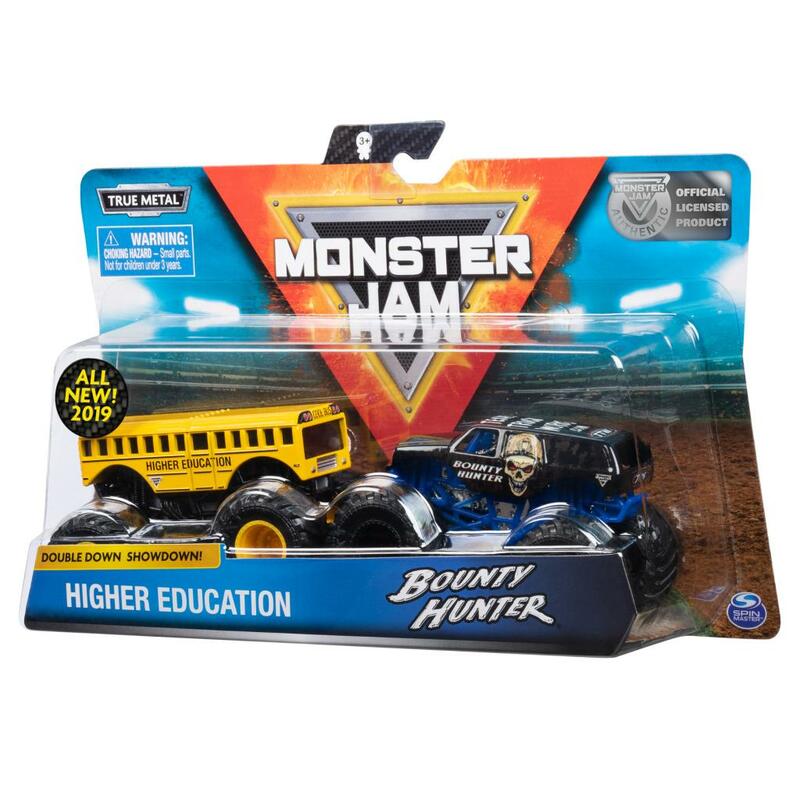 COLLECTORS ITEM: Each Monster Jam truck includes a driver molded to the driver's seat plus an exclusive collector's poster so you can keep track of your collection! 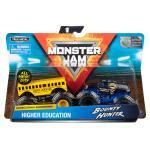 Take Monster Jam trucks to the max!